Transform your hair from frizzy to smooth. 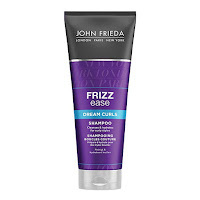 Award-winning frizz-fighters create a smooth start for any style. Restore elasticity and boost natural curl pattern with this magnesium-enriched formula that penetrates hair fibres. Infused with conditioning and glossing agents, this styling spray helps fight frizz for touchable softness, while providing heat protection. ... 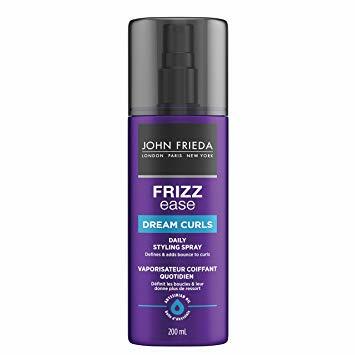 Specially developed with jojoba oil and frizz-fighting silicone, this shampoo for curly hair is the first step to create beautiful, salon-style curls. 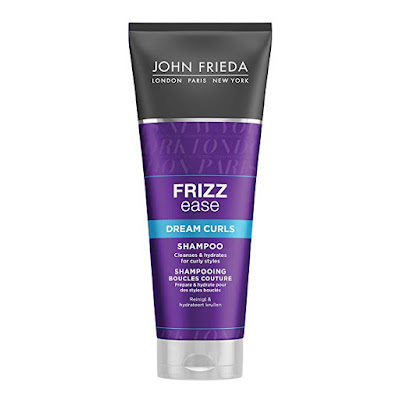 Frizz Ease Dream Curls Deep Conditioner nourishes and detangles unruly curls. Infused with Abyssinian Oil, this formula is designed to replenish dry curls with a surge of moisture for improved manageability, softness and shine. Curly hair requires frequent boosts of moisture to maintain a beautifully smooth, frizz free texture and soft, defined curls. This deep conditioner is an intensive treatment that replenishes every ringlet, leaving hair instantly softer and moisturised. To enhance and hydrate curls, improve manageability and help prevent curl-fatigue, Dream Curls Deep Conditioner contains a unique complex of hydrating, smoothing and softening ingredients – including the intensely nourishing, yet very lightweight, Abyssinian oil. 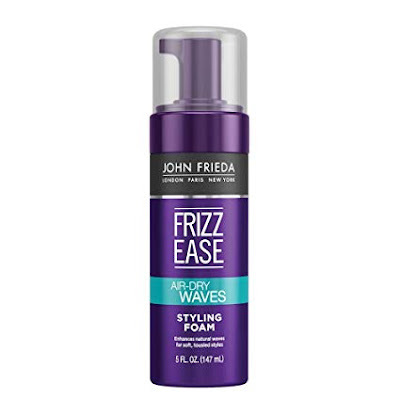 John Frieda Frizz Ease Air Dry Waves Styling Foam is a lightweight, non-sticky foam enhances waves without blow-drying. 220°C heat protection. 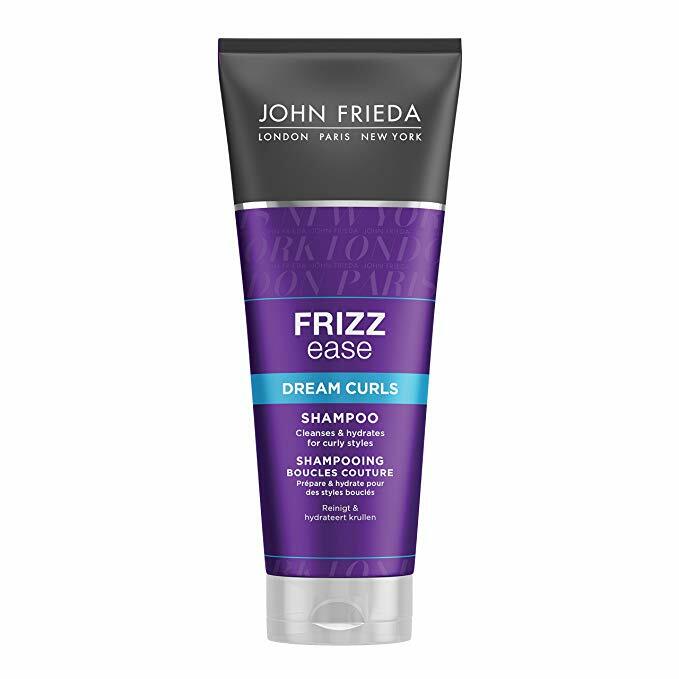 Revitalises curls for frizz-free. Salon-touchable hold. Alcohol-free. With thermal protectant. Transform undefined & unruly into controlled & curly. Restores definition, elasticity and bounce to natural curls. Leaves hair touchably soft and shiny. Cleanses and adds hydration for salon-perfect curls. Safe for colour-treated hair. Transform undefined & unruly into controlled & curly. Defines and enhances curls for instantly easier styling results. Infused with a styling polymer. Detangles for defined, salon-perfect curls. Safe for colour-treated hair Transform undefined & unruly into controlled & curly. Defines, enhances and moisturises curls for instantly easier styling results. Infused with a styling polymer.